Someone is trying to kill Katie Taylor. Does she have information worth killing for? Amnesia after a car crash leaves her unable to remember a lot, like the fact that she is no longer engaged to Sheriff Grant Campbell. 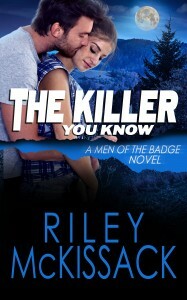 Men of the Badge continues in Hawk’s Peak, a small mountain town in North Georgia, where Grant Campbell, a former Atlanta cop, has returned after many years to be sheriff. Katie Taylor is the love of his life – the woman he loved and lost years ago. Grant must keep Katie alive long enough to remember the secrets worth killing for, even if it means she remembers she stopped loving him. Even if it costs him, once again, the love of his life.